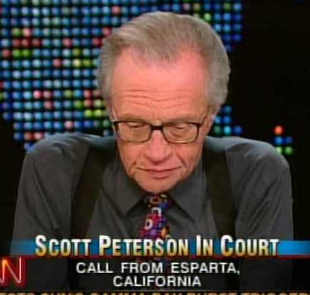 Recently, it’s become a sport to poke fun at Larry King. A talk show host who has interviewed more than 40,000 people on radio and television, he is certainly aware of the pitfalls that confront people of fame. He has offered more than his share of advice about how to avoid embarrassing moments and presumably learned from them what works and what doesn’t. I’m far less concerned about King’s personal life than I am about his professional work. He personifies all but a few on-camera news people in today’s market. He has the ability to be a serious journalist when real news breaks. But his credibility is drastically undermined because one evening he’s talking with widows from 9-11 and the next evening he’s digging from the grave the death of Anna Nicole Smith. Was he all gravitas? Almost, and always in front of the camera. In his autobiography, he acknowledges that he was wowed by mingling with at least one member of the rich and famous, Frank Sinatra. But Sinatra’s crooning was not to be confused with serious journalism, and Walter Cronkite knew it. He never cheapened the news; even having the fortitude and persuasiveness to prevent CBS from forcing him to pander to the audience as it had made Edward R. Murrow do. And what about our news anchors now? 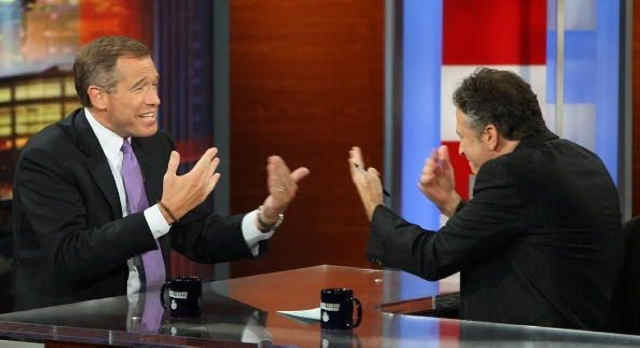 NBC News’ Brian Williams can be serious one moment and then play the role of “Big Head” on Jon Stewart. When he’s a guest on The Daily Show, Williams and Stewart talk about their home state of New Jersey as if they were in Tony Soprano’s Bada Bing Club. On CBS, Katie Couric has turned the evening news into a mastery of bad puns. On ABC, Diane Sawyer’s efforts to be earnest lack credibility both because of all the light-weight gotcha interviews she has done as well as the fact that before going into broadcasting she carried a broom behind Richard Nixon to try to clean up the messes. I asked a physician who has been to Haiti three times since the January 12 earthquake how Anderson Cooper could report for two weeks from the scene of the devastation and then return to the CNN studio and revert into his special kind of flirtatiousness with newsreaders hired to trivialize the news. The physician found it incredible that anyone could experience the horror of reporting from a land where nearly a quarter of a million people had died and then “go frivolous on us.” Perhaps it’s testimony to Anderson Cooper’s fortitude; he’s a good company man and does what CNN asks of him. Or perhaps he, like so many others, has cheapened his reputation and diminished his accomplishments by “just saying yes.” Cooper and others might learn a lesson from Bob Costas, who refused to be a substitute anchor for Larry King one evening, because the topic was going to be an over-sensationalized California murder. The landscape is not without hope. PBS continues to provide us with the experience of Jim Lehrer or Judy Woodruff and bring in fresh talent committed to enlightening audiences. There are no cute little teasers on the NewsHour, only the sixty-second annoyance of the roll of sponsors. As always, the American public plays a decisive role in what it receives. Fox “News” has higher ratings than any other cable “news” outlet, while CNN, which has tried to be reasonably objective, has seen its rating plummet over the past six months. CNN has serious journalists such as Fareed Zakaria, Christine Amanpour and John King, but serious interpretation of complicated issues is apparently not what enough Americans want. Previous Post:Unpaid taxes? No Defense contract for you!